There have been plenty of great albums released in the last month or so, and I wanted to share some of my favorites that have been in heavy rotation on my Spotify account. The album is bass heavy and features melodic, smooth and intelligent lyrics. ‘Mudface’ sounds like it came from the late 90’s or early 2000’s when compared to the Auto-Tuned club hip hop that has been popular in recent years. Like on 1996’s ‘Muddy Waters’ Redman’s lyrics float over slow, methodically crafted beats with incredible precision that is almost hypnotic. The track “Gettin’ Inside” is comparable to 1996’s “Rock Da Spot” and it’s incredible how Redman has resisted mimicking modern hip hop. 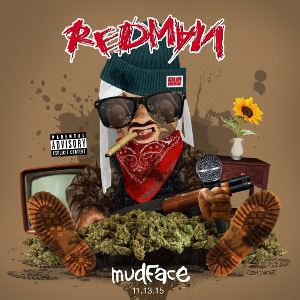 Redman’s first album released 23 years ago, and although he may not be a household name like he was in the late 90’s, he proves on ‘Mudface’ (his eighth album) that he hasn’t lost his edge. PSY, of “Gangnam Style” fame, recently released his seventh album, featuring his latest hit “Daddy.” The music video for “Daddy” currently has over 32 million views on YouTube and has been creating a lot of buzz, as some have forecasted the hit to become the next “Gangnam Style”, the most viewed video on YouTube with over 2.4 billion views (while “Gentleman” is closing in on a billion with over 900 million views). The song is certainly hard to stop listening to, and the video is wildly entertaining. The album has many other catchy songs as well, and the upbeat tracks make for a great running soundtrack. The album’s lead song, “Dance Jockey” is just as catchy as PSY’s other hits, with an irresistible chorus and PSY’s signature emphasis at the end of every phrase. Things slow down with “The Day Will Come”, and yet it’s still catchy to the point I want to speak along even if I don’t understand the language. 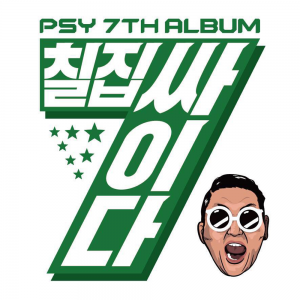 PSY may be most famous for his eccentric music videos, but his seventh album proves he has the ability to craft addictively pleasant music that is hard to stop playing over and over again. This entry was posted in Music and tagged daddy, Mudface, music, PSY, Redman, seventh album. Bookmark the permalink.